Munich – Thomas Müller gave himself an early gift the day before his 26th birthday by scoring the penalty which earned FC Bayern München three points against FC Augsburg on Matchday 4. 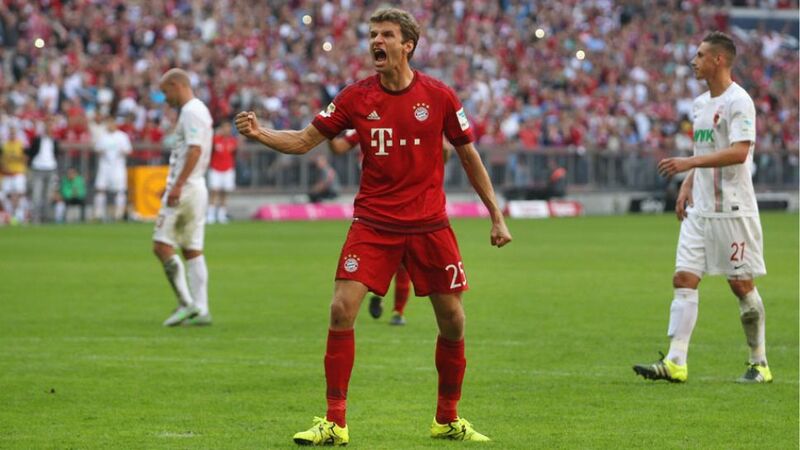 Question: Thomas Müller, Bayern had 80 percent possession and 27 shots to four on goal. It looked pretty one-sided, yet it was on a knife edge right to the very end. How do you explain how narrow the win was, despite this superiority? Thomas Müller: We conceded a goal on Augsburg's first attack of the game. In the first half, we had the problem that we were taking one or two seconds too long with everything. We were probably just a bit sleepy in possession. At this level in a battle for the title, we can't afford that. We're putting ourselves under pressure, but we really shouldn't be. It's just a psychological thing.